This all-action, all-the-time thriller will suit adrenalin junkies. 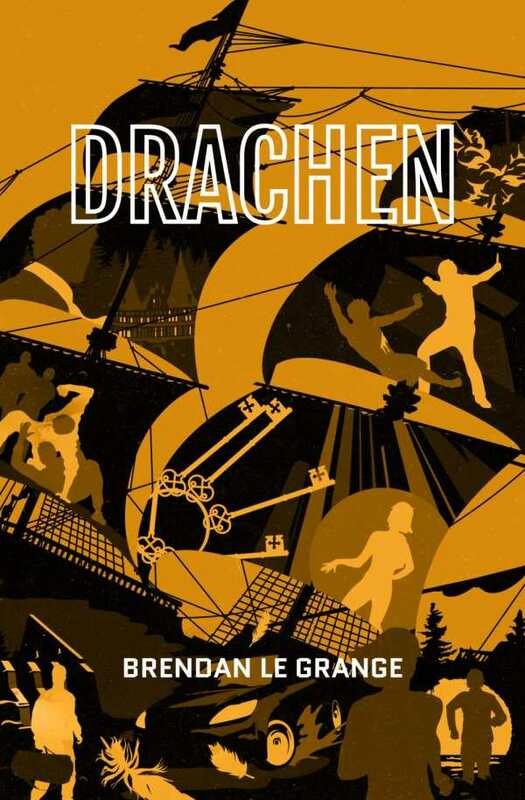 In Drachen, Brendan le Grange spins a modern tale of violent intrigue, telling the story of an intrepid female Indiana Jones-type who seeks treasure lost long ago when a medieval warship sank. Brett, a young marine archaeologist, has been researching the Drachen, “a warship built by the Hanseatic League in the late fourteenth century, the biggest and fastest on the seas.” Brett has wealth and likes adventure, so she sets off to find the ship, knowing there’s more than a wreck to be found: the Drachen is central to mysteries surrounding the Hanseatic League, a little-known Majorcan explorer, and rumors of vast treasures discovered in Africa. And Brett does find the wreck; it’s empty. This all serves as the backstory for the rest of the book’s events. In a well-sketched opening, Brett’s being pursued through Nordic woodlands by Kalev, a Finnish mercenary. After an escape by the skin of her teeth, Brett heads for Tallinn, Estonia, where she meets the scholar Rasmus. Brett tells Rasmus that the only interesting things recovered from the wreck were a “sphere of hazy amber the size of a grapefruit, and a set of ancient keys.” The pair determine that these are clues that will reveal the treasure’s location. Rasmus is left behind, the action now driven by Brett and Sam, a British Army lieutenant colonel. In a story of characters hopscotching the Baltic, solving puzzles, and moving to the next clue, the book provides motivation, but little character development. Brett’s bored with archeology, which “was seldom more than an exercise in cataloguing.” Sam’s grandfather found evidence of the Drachen, but he was labeled an eccentric. Kalev is an agent of the prime villain, Hiko, who lives on a boat in Hong Kong harbor. The shadowy Hiko’s interest in the Drachen cargo isn’t treasure; it’s mold, which he believes can be turned into a biological weapon. Sadly, minimal attention is given to Hiko’s narrative thread, though some of his story is reflected through Matthys Rossouw, the Europol agent chasing him who operates in a vacuum. The adventure is anchored by solid descriptive writing—“A cold fog swamped the morning, shifting on the gusts of wind that periodically bore the scent of salt water and the cries of seagulls from the nearby Baltic”—along with a familiarity of the locales, with the story playing out mostly in vehicles, hotel rooms, and even underground, in long-lost caves and tunnels. Claustrophobes will be biting their fingernails. Some loose ends at the book’s conclusion suggest le Grange is planning a sequel. This all-action, all-the-time thriller will suit adrenalin junkies—think Clive Cussler turning Raiders of the Lost Ark into a shoot-’em-up.